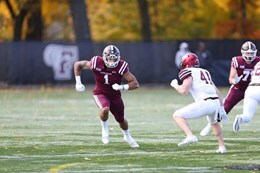 Kevin Anderson was drafted by the Orlando Apollos of the newly-formed Alliance of American Football (Courtesy of Fordham Athletics). 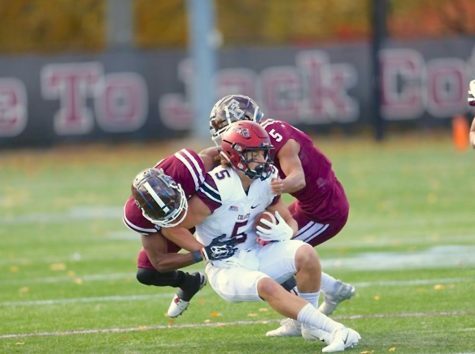 Former Fordham quarterback Kevin Anderson’s ankle injury was overshadowed. During the 2017 Fordham football season, it was running back Chase Edmonds—who was on pace to break the Football Championship Subdivision rushing record and was the eventual fourth-round pick by the Arizona Cardinals, who went down with an ankle injury first, in the Rams’ second game of the season against Central Connecticut. But Anderson, who appeared to be on track to draw some NFL interest at the very least, was in and out of the lineup with an ankle injury of his own after initially getting hurt against Lafayette. While he was able to play through the injury at times, he was unable to do so consistently and was clearly struggling. But he was not playing through just an ankle sprain or strain; he had torn his ATFL and deltoid ligament. 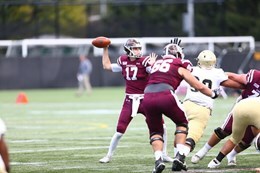 Head coach Andrew Breiner, who recruited him to Fordham as his quarterbacks coach and then eventually became his head coach, lauded him as an efficient passer, saying the numbers speak for themselves. They certainly do. He holds the Fordham record for career passing touchdowns (73) and is third in career passing yards (7,663) and completions (580). He also won multiple honors, including a Second Team All-Patriot nod in 2016. That year, he led the Patriot League in passing touchdowns, passing yards per game, total offense, total passing yards and points responsible for. He was also second in passing efficiency. 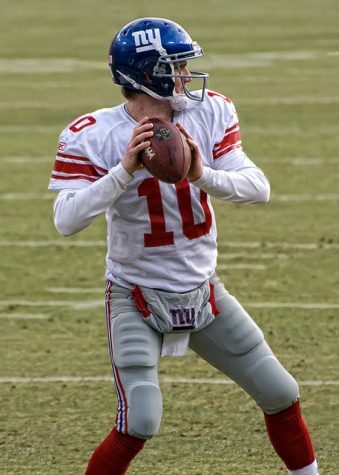 While the ankle injury in his final season may have delayed his future prospects, both players and coaches have described the quarterback as one of the smartest football minds they have been around, and he now has a shot at playing professional football after being selected in the fourth round of the Alliance of American Football’s Quarterback Draft. Players in the AAF are allocated to teams based on regions they played in either the NFL or Division I college football. This is also true of the quarterbacks but is also slightly different. Like any new league, there were some kinks. 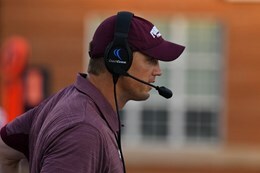 Because Anderson did not play at a Division I school, he was not originally allocated, which opened him up to any team. The “Orlando team” is the Orlando Apollos. However, just because he was under contract did not mean that he was going to be on the Apollos, or even any team. He still needed to be drafted in their four round Quarterbacks Draft. All other players were directly allocated. But how did Anderson get here? Anderson graduated early from high school to get a jump on preparing for college football. This meant he arrived at his first school, Marshall, still healing from a shoulder injury that he received in week three of his senior season. He eventually transferred due to being in what he described as a “dark place” in his Senior Profile last year. After last season, he graduated early again, this time in January, to get a jump on his next step. This one looks like it’s going a little better. After spending a few months at a personal training gym, Anderson got connected to Bommarito Performance Systems (BPS), a training center, thanks to a connection he made by being home early. The University of Miami needed a quarterback to throw at their Pro Day, specifically to Braxton Berrios, who eventually was chosen in the sixth round of the NFL Draft by the Patriots. Berrios introduced Anderson to Pete Bommarito, the owner of BPS, who wanted Anderson to come train at his facility because they needed someone to throw to their collection of athletes. And it’s not a lacking group of athletes either: Anderson has worked with Colts receiver T.Y. Hilton and Vikings receiver Stefon Diggs since heading to BPS, for example. The likes of Bills running back LeSean McCoy and Steelers running back Le’Veon Bell have trained there. He’s also helped the likes of Breshad Perriman and Rishard Mathews train in between teams during the season. “I was fortunate they needed a quarterback to throw to these guys and they didn’t have one,” said Anderson. 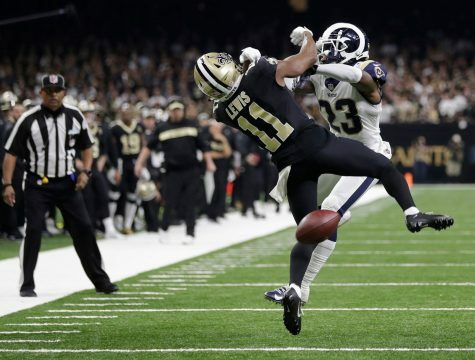 Anderson is there five days a week, not just throwing to receivers, but also lifting, doing physical therapy and massages in order to prepare for the next step. “It’s just been a great opportunity to hang out and train with these guys, you know, become very good friends with these guys, train with high-profile athletes and pushes you to work harder,” said Anderson. Before the Quarterbacks Draft, Anderson had to prove he was worthy of being one of the 32 quarterbacks selected out of the 51 available. 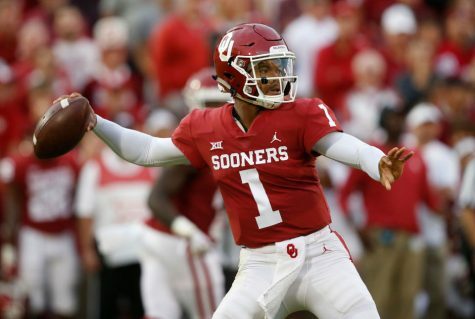 There was a combine in San Antonio, where all the quarterbacks worked out in front of teams and then spent 20 minutes with the front office, 10 drawing up plays on a whiteboard and another 10 being interviewed. “They really worked us, got to know us well,” said Anderson. Following the combine, it was time to wait until Nov. 27, the day of the draft. The first pick of the first round went to the San Diego Fleet, who chose to protect their pick. They protected Josh Johnson, a fifth-round pick in the 2008 NFL Draft and a member of the Texans’ active roster in 2017. The Apollos chose to pick with their first rounder and chose Garrett Gilbert, a sixth-round pick in the 2014 NFL Draft by the Rams. In the second round, they selected Stephen Morris, who played at the University of Miami, and whom Anderson worked out with this year. “He got drafted in the second round by Orlando, so I congratulated him, and he told me they called him right before the pick,” said Anderson. So when the Apollos’ third pick, Austin Appleby, was made, he was not surprised as he had not received a call. But when the Apollos made him their final selection of the draft in the fourth round, he was surprised. “Orlando’s pick was in, and I hadn’t gotten call, so I thought, ‘Okay, that’s my shot. I’m not gonna get picked. Like, it’s over,’” said Anderson. “But then they called my name. It was exciting; my family and I and my friends were all cheering and celebrating, so it was a good time. 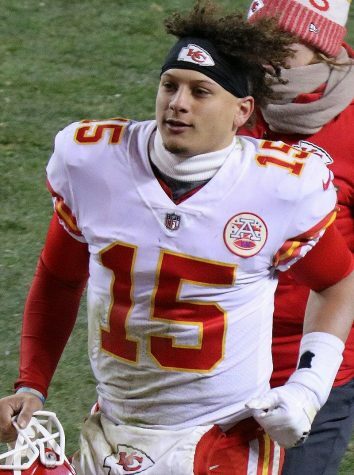 With four quarterbacks on the roster, it will be hard for Anderson to break through, especially since they only expect to head into the season with three. “If he gets a shot, he’ll be able to show a lot of people what he’s capable of,” said one of Anderson’s former receivers, Corey Caddle. And that’s all Anderson is looking for: a chance. He will head to the team’s minicamp from Dec. 12-16, and from there to camps, with all teams in San Antonio at the same time. At some point during that process—Anderson is unsure when—that crucial cut will be made. Beyond earning a starting job and setting AAF records, Anderson is very practical about his understanding of the AAF. But after that? He wants to make a run to the NFL. The AAF intentionally plays in the spring, and offers flexible contracts, in order to allow players to chase their NFL dreams. AAF play ends in time for NFL camps. And if that NFL dream falls short, they can come right back for the second season. Anderson signed a three-year, $250,000 deal with the AAF. In year one—if he is on the roster—he will earn $70,000. If he comes back, $80,000. In the third year, $100,000. “This is exciting. This is the best opportunity ever for free agents. This league right now, the XFL coming next year,” said Anderson. Regardless of the opportunity afforded to him, it will still be an uphill battle for Anderson. The three quarterbacks ahead of him on the roster have much deeper experience. Besides Gilbert, Morris also spent time in the NFL after signing as an undrafted free agent with the Jacksonville Jaguars in 2014. Appleby was briefly on the Dallas Cowboys after signing as an undrafted free agent. But those who know him are not worried.